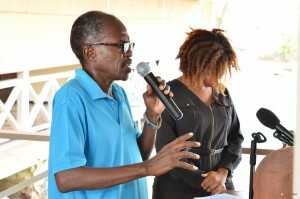 On August 18th 2016, the Honorable Eugene Hamilton approved on behalf of the Government of the Federation of Saint Christopher and Nevis the declaration of the St. Kitts and Nevis Marine Management Area as defined by the two (2) miles radius of sea water around the St. Kitts and Nevis’ coastline including the Monkey Shoals area to be managed by the Department of Marine Resources as the entity with jurisdiction of the Federal Waters of St. Kitts and Nevis as indicated in the Fisheries, Aquaculture and Marine Resources Act (FAMRA) 2016. 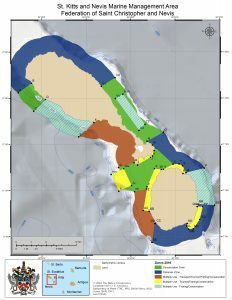 This St. Kitts and Nevis Marine Management Area has been proposed since the late 1980’s. 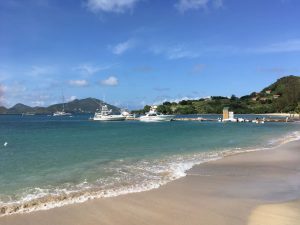 Substantial work was completed in the 2010 Marine Zoning Plan for St. Kitts and Nevis after extensive multi-sectoral consultations to define the marine area to be managed and the zones within the area. 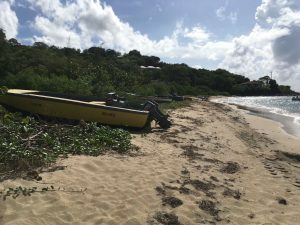 However, the Fisheries Legislation at the time was inadequate to adequately manage the St. Kitts and Nevis Marine Management Area. 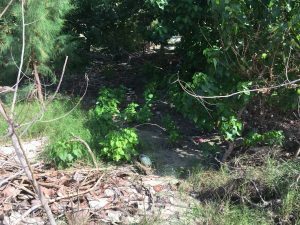 Since then several consultations and efforts have been geared towards increasing the awareness and importance of this proposed area. 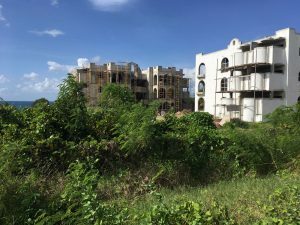 With the newly passed FAMRA 2016, there is now legislation that supports for proper management and governance of such an area. 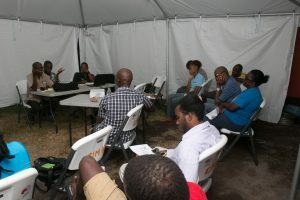 The Government of St. Kitts and Nevis is thankful to the fisherfolk, government officials, Ross University School of Veterinary Medicine, the Eastern Caribbean Marine Management Areas Network and other stakeholders for their invaluable assistance during the process of establishing the SKNMMA. 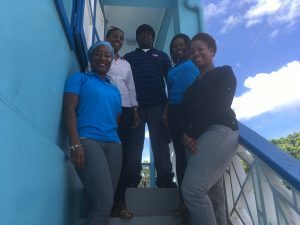 On June 8th, as the world celebrates World Ocean’s Day, six Eastern Caribbean countries mark their commitment to preserving the region’s extraordinary marine ecosystems by launching the first Eastern Caribbean coral reef report cards. 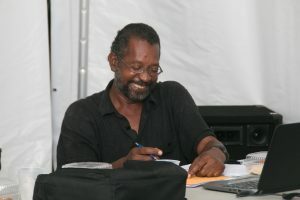 The Nature Conservancy combined existing data, collected by regional and international scientists, to create individual report cards for six countries. 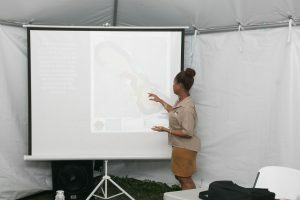 The report cards not only provide information on reefs, but also assess mangrove and seagrass habitats, as well as management strategies to improve these ecosystems. They are a concise, visual and easy-to-understand tool designed to be accessible for audiences from students up to the policy level. 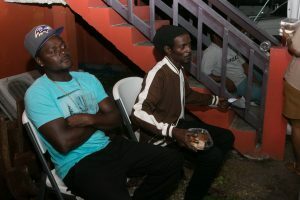 The six countries include Antigua and Barbuda, Dominica, Grenada, Saint Lucia, St. Kitts and Nevis and St. Vincent and the Grenadines. 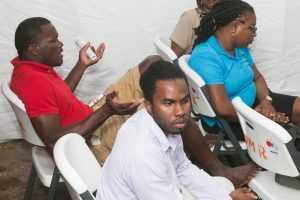 Each report card was created in collaboration with local stakeholders including government partners, and non-governmental organizations. 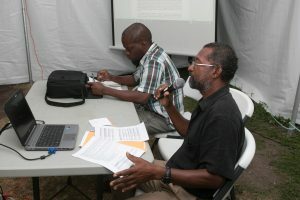 The report cards were funded by the German Federal Ministry for the Environment, Nature Conservation, Building and Nuclear Safety as part of the Climate-Resilient Eastern Caribbean Marine Managed Areas Network (ECMMAN) project, which aims to build a regional network of marine managed areas. 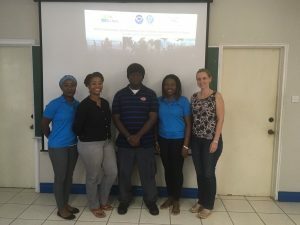 “Report cards are an effective communication tool to consistently track reef health; show the ability of fully protected areas to support more fish; and raise awareness on the importance of protecting coral reefs” said Patricia Kramer, a coral reef ecologist, who led the data synthesis and development of the ECMMAN Report Cards. 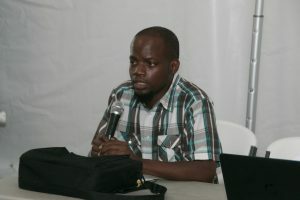 All of the data and report card scores are also available at Carbinode.org, an online mapping tool where users can surf through data and create maps based on their interests. 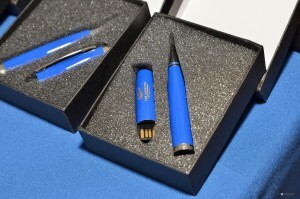 This allows researchers and scientists to access and share data across the region. 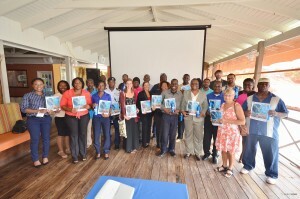 Locally, The Department of Marine Resources (DMR) and the Nevis Historical and Conservation Society celebrated World Ocean’s Day with a media launch of the St.Kitts and Nevis Coral Reef Report Card. 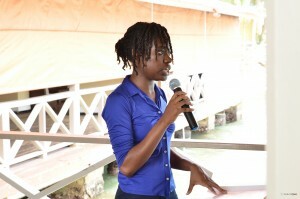 This media launch was held at Fisherman’s Wharf- an ocean themed restaurant that hovers above the Caribbean Sea. 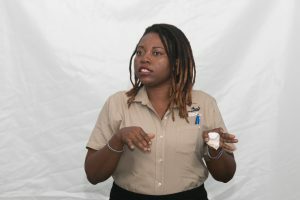 The event was chaired by Tricia Greaux, Marine Management Areas and Habitat Monitoring Officer, who opened with the World Ocean’s Day theme for 2015 – 2016, Healthy Oceans, Healthy Planet. 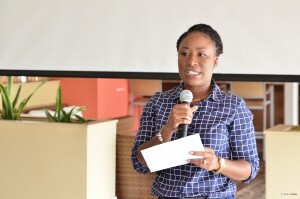 The ECMMAN Project overview and Caribnote updates were given by Danielle Moore ECMMAN Outreach Officer. 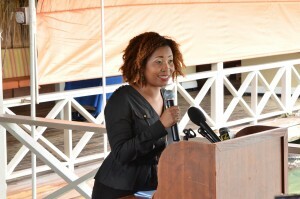 Opening Remarks from Natasha Daniel Assistant Permanent Secretary, Ministry of Agriculture, Marine Resources, and Cooperatives stressed “The Federal Government of St.Kitts and Nevis has given our support and will ensure the marine area surrounding our twin island federation is properly managed for the benefit of all our citizens, residents and visitors. 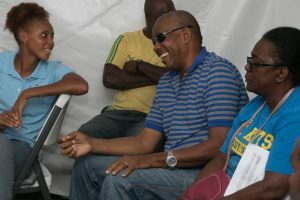 Hence, it is incumbent on our government to ensure the requisite systems of management and protection are fully established to provide and maintain the livelihoods of our citizens and the sustainability of the resources present in this area. Again, this document is critical to this process. 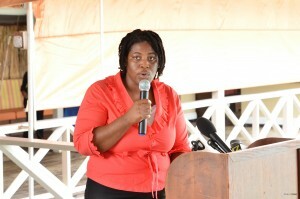 “The vote of thanks was done by Marcia Stubbs, ECMMAN Education and Compliance Officer. 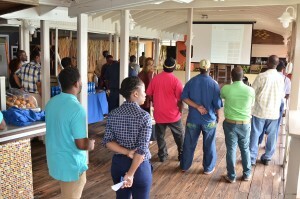 Stakeholders and members of the press were presented with a video explanation of the SKN Coral Reef Report Card. This would be uploaded on some of the DMR’s social media platforms; www.dmrskn.com, https://www.facebook.com/DMRSKN/, and on www.youtube.com DMRSKN. 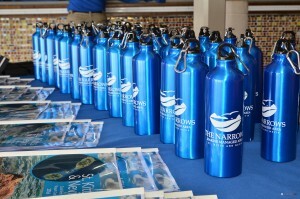 Paraphernalia were distributed promoting the awareness of the proposed Narrows Marine Management Area (the channel between St.Kitts and Nevis). 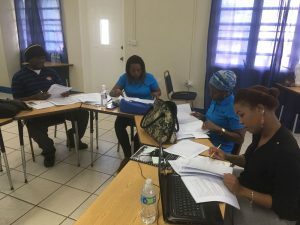 Data monitoring teams from each country will continue to fill gaps in data and update information in future versions of the report card. 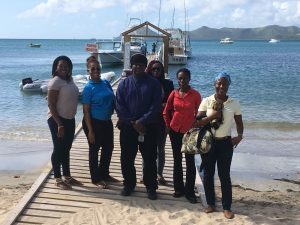 The Eastern Caribbean Marine Management Area Network (ECMMAN) 4th Advisory and Coordination Committee (ACC) Meeting is being held on March 9-11th 2016 in The Federation of Grenada. 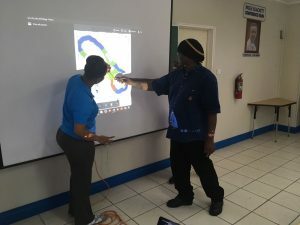 In attendance was Marine Management Areas + Habitat Monitoring Officer Ms. Tricia Greaux from the St. Kitts-Nevis Department of Marine Resources. 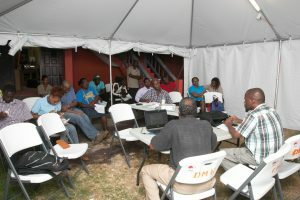 Present and discuss technical and financial reports from each of the ECMMAN Implementing partners – SPAW_RAC/ CaMPAM, OECS Commission, PCI Media Impact, Caribbean Regional Fisheries Mechanism / Caribbean National Fisherfolk Organization and The Nature Conservancy. Discuss major activities of ECMMAN for 2016 and life beyond the ECMMAN that will conclude in 2017. 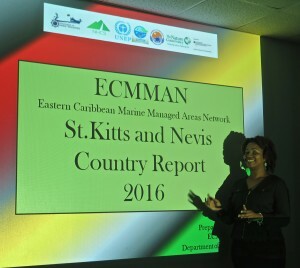 Ms Tricia Greaux, made a very important country report on the progress of St. Kitts and Nevis’ implement successes over past four years.